As December comes to an end and we prepare to pack away the Christmas decorations and welcome the New Year, we reflect on our business members and how much they support the community work we do throughout the year. 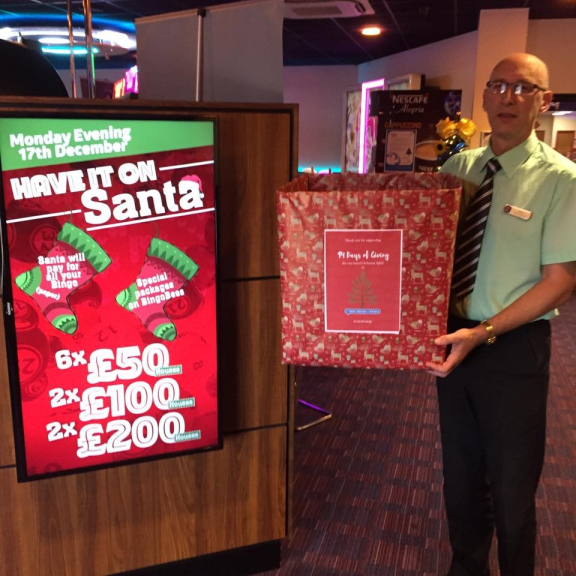 This month we would like to give Apollo Bingo a BIG ‘bestof’ shout out for supporting 2 of our community campaigns and encouraging their customers to do the same. When chatting to Daryl, Apollo’s manager on Hollywood Park, we mentioned we were supporting the Santa’s Grotto in Barrow Market Hall. 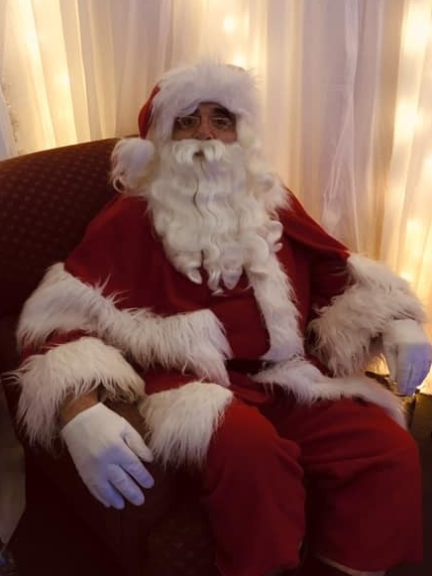 The Grotto was being sponsored and organised by market traders, CandoFM, Barrow BID, re-new, Rotary and of course thebestof, as we all wanted to bring back the true meaning of Christmas with a visit to Santa in a beautiful grotto and a free gift. Without hesitation Daryl offered to donate tubes of sweets and chocolates for Santa to give to the children. The children loved them, and Daryl definitely secured his place on the nice list! Our other big campaign for December was our 14 Days of Giving. This is when we put a shout out to local people and businesses to donate an item every day for 14 days starting on December 1st to make someone’s Christmas that bit extra special. Everything we collect is donated to Barrow Foodbank who make sure it goes to help people and families in need. Once again, Daryl jumped at the chance to take a box to place in the entrance of Apollo and encouraged members and staff to donate. Many local businesses supported this campaign including Barrow Market Hall, BAE, Cumbria Training Centre, Kick Off 4, TP Framework in Ulverston and Gemma Louise CBT. Thank you everyone, Barrow Foodbank were thrilled at your donations. So, a big thank you to Apollo and their wonderful members for their support this month, you truly deserve to be thebestof Community Business of the Month.